Product testing that pushes your products and building systems to the limit – and beyond! 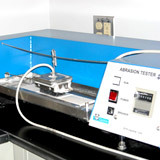 As the premier accredited product testing lab servicing the building industry, we have over 50 years of experience helping product manufacturers provide assurance to their customers and code officials. Now, thanks to our cooperation with ICC Evaluation Service (ICC-ES), we can provide a more comprehensive and predictable road to receiving Evaluation Services Reports (ESRs). 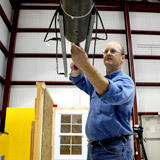 Our expertise in product testing, engineering, and building codes, provides our clients expert guidance throughout the product evaluation process. We are your advocate throughout the process, helping to develop the appropriate test plan and identify the best laboratory to conduct the testing, whether it’s done in our lab or in combination with other accredited labs. From evaluating the structural performance of new framing techniques, to the durability of a product over time, or establishing an R-value for an innovative wall system design, we are a product manufacturer’s best resource. 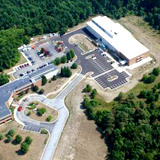 We've combined our 50+ year history in the building industry, engineering expertise, and excellence in customer service with the unmatched reach of the ICC Evaluation Service (ICC-ES) to provide building product manufacturers with a one-stop-shop for building product testing, listing, and evaluation reports. We can test products and building systems, even entire houses, for the full range of forces that they will be subjected to including tension, compression, shear, uplift and uniform loading. Need to confirm the tensile strength or compressive strength of your product? Or perhaps you need to measure thermal conductivity or moisture content? We can do that, and much, much more. Do you need to know how much punishment your product can take and how long it will last? Need to know how your product will fare when it is subjected to the elements? We’re the ones to ask. We can test the thermal performance of all types of insulation including batt, loose fill, and foam to confirm their R-value. 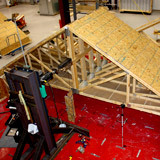 Our unique large scale hotbox allows us to establish R-values for the next generation of floor, wall, and roof systems. 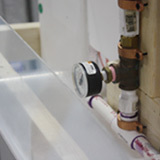 We can also test the effects of air infiltration on thermal performance. We can evaluate the absorption of moisture into wall systems and help you determine the optimal design and construction techniques to minimize the occurrence of mold. We are an ISO 17020-accredited inspection agency so we can help you fulfill your ICC-ES or other third-party inspection requirements.